Chris Wilson was the Executive Director of the Republican Party of Texas under then-governor George W. Bush. Chris Wilson worked very closely with Karl Rove. 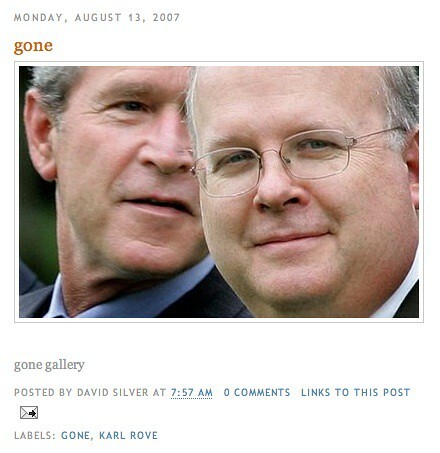 Rove was known to us in Texas as the “master of dirty political tricks. ” I suspect that Rove taught Chris Wilson the art of deception. Karl Rove has been accused of being the source behind countless dirty tricks, whisper campaigns, smear tactics, and character assassinations. I have dealt personally with Karl Rove. I well remember in 1997 when we classroom teachers in Texas had written our own state curriculum standards document (Texas Alternative Document) and were gaining wide support in the national press because no classroom teachers (before or since) had ever written their own standards document. We classroom teachers did not believe the standards being steamrolled by the Texas Education Agency and the Governor’s office were good for Texas students. Suddenly those State Board of Education (SBOE) members who had supported our TAD document began getting phone calls from their largest campaign contributors threatening to withdraw their support unless they backed the Governor’s document. One of our main SBOE supporters who made his living as a healthcare provider suddenly had his office visited by both state and federal auditing agencies simultaneously. They managed to tie up his total attention for weeks during the exact time that the SBOE members needed to be focusing their attention on the all-consuming work of adopting new curriculum standards for the state of Texas. The auditors found nothing illegal. At one particular SBOE meeting, several of the SBOE members were told by the hotel management that their room assignments had suddenly been changed. The next day the information they had exchanged in a highly confidential phone call was made known publicly and neither of them had been the ones to leak it. Chris Wilson was hired by Mike Toomey to do Gov. Rick Perry’s polling. Mike Toomey was Gov. Perry’s chief of staff who was behind the HPV Merck/Gardasil scandal. Mike Toomey turned out to be a lobbyist for Merck. In 1995 Chris Wilson left the Republican Party of Texas (and Karl Rove) and went to work for pollster Tony Fabrizio. Because Gov. Perry’s Presidential campaign was losing steam, several weeks ago (10.24.11) his team decided to hire Curt Anderson, Tony Fabrizio, et al. “Coincidentally,” it appears that Politico began working on its 10.30.11 sexual harassment hit piece against Herman Cain at about that very same time. Who is Curt Anderson? Herman Cain told Forbes that he recalled personally telling Curt Anderson in 2003 about the sexual harassment charges at the NRA but that they were baseless. Cain felt Curt Anderson as a pollster for the NRA needed to know about the allegations. Another big coincidence? Curt Anderson was the political director at the Republican National Committee under Haley Barbour. 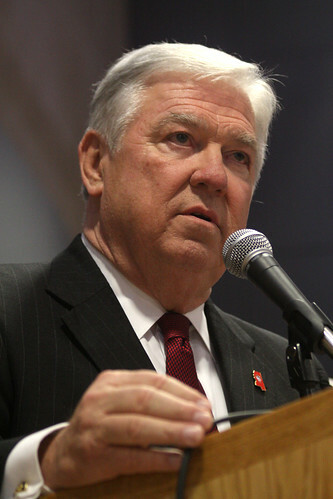 Haley Barbour was a member of the ad team for Mitt Romney’s campaign in 2007/2008. On 11.2.11 two days after the Politico story broke on 10.30.11, Haley Barbour went on nationwide TV and began to pressure Cain to get the NRA to release its confidentiality agreement, thus giving the “woman” a chance to grab the national microphone. I am not the brightest bulb in the lamp, but I can connect the dots. So can most thinking Americans. The Republican candidates are in a heated campaign leading up to the primaries. Out of nowhere has stepped Herman Cain as the frontrunner. He is not an “establishment” sort of guy. Chris Wilson, the “witness” (Karl Rove’s understudy, recommended to Rick Perry by unscrupulous Mike Toomey) is now working with Curt Anderson (newly hired by Perry) and Tony Fabrizio (newly hired by Perry). Fabrizio is connected to Haley Barbour (worked on Mitt Romney’s campaign in 2007/2008). Barbour is the one who is trying to pressure the Cain campaign to release the “woman accuser” so that the Politico story will grow legs and eventually “lynch” Herman Cain. Yesterday an attorney friend who has broad experience in such cases told me that if these “women” actually had grounds for sexual harassment charges, they would have gone after Herman Cain for millions of dollars; however, but they did not. Grassroots Conservatives have had enough! 1. Pre-Clarence Thomas, [before the Anita Hill “lynching” of Clarence Thomas in 1991] the attorney felt that the sexual harassment laws made sense and she gladly represented a number of female clients. Post-Clarence Thomas, she refused to represent most women that came to her because the charges were what she called “frivolous and ridiculous” — that “hostile environment” could represent something as benign as an argument and/or several other nonsexual behaviors. 2. I asked her if she ever represented any men pre- or post-Clarence Thomas. She said no — that men were generally laughed out of the courtroom regardless of the validity of the charges. To my way of thinking either the Perry campaign, the Romney campaign, or both may be behind this “lynching” of Herman Cain. I will also add that it is possible neither Rick Perry nor Mitt Romney may know what dirty tricks (if any) their campaigners may be doing once hired and working behind closed doors in various parts of the country. Therefore, Perry/Romney are not lying when they say they know nothing about this story. However, some of the campaigners working for them may know quite a bit about it. previous post: Wait Just a Minute, Governor Perry!